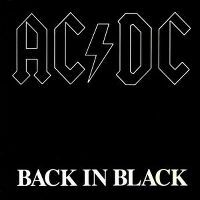 Mit Brian Johnson als Sänger vermutlich noch das beste Album, aber insgesamt betrachtet nur ein weiteres gutes Ac/Dc-Album. 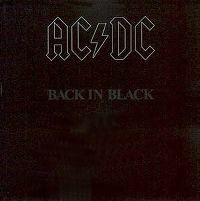 "Let Me Put My Love Into You", "Back In Black" und "You Shook Me All Night Long". 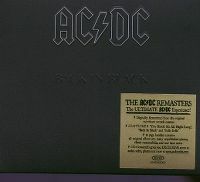 Mein Lieblingsalbum von AC/DC noch vor "Highway to hell" oder "High voltage"! Die Hälfte der Song sind grandios und absolute Spitzenklasse. Auch der Rest ist überwiegend sehr gut. Insgesamt natürlich klare 6* wert. 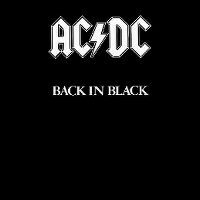 Für mich ist BACK IN BLACK das beste Hardrock-Album aller Zeiten! Jeder Song müsste zwingend mit der Höchstnote belohnt werden! Ich glaube zwar, dass Bon Scott der bessere Sänger war, aber irgendwie passt Brian Johnson fast besser zu AC/DC und diesen 10 Jahrhundertsongs! 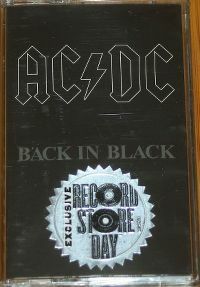 AC/DC's big one, well sales wise anyway... and the album made them a global phenomenon... 50 million or so in sales...HUGE!!!! The biggest change...well obviously...the lead vocalist & lyricist. Bon Scott had passed away and was replaced in a matter of months by Brian Johnson (from Scottish band Geordie), the group set to work on a new album immediately (more likely than not, to get through the grieving process). That aside (and sales)... given the circumstances this is a quality record and became the blueprint for much of everything else released in their recording career. 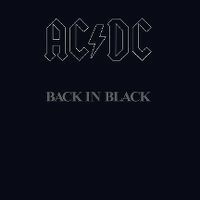 It's a powerful, meaty and rockin' album, all the classic AC/DC riffs and hooks are here. It's production is slick smooth and crystalline in sound. Brian Johnson proved a quality replacement for Bon (only in terms of reaching success, but not persona)..he's voice did and does fit with the AC/AC sound.... post Bon. An album that has stood the test of time...no doubt..